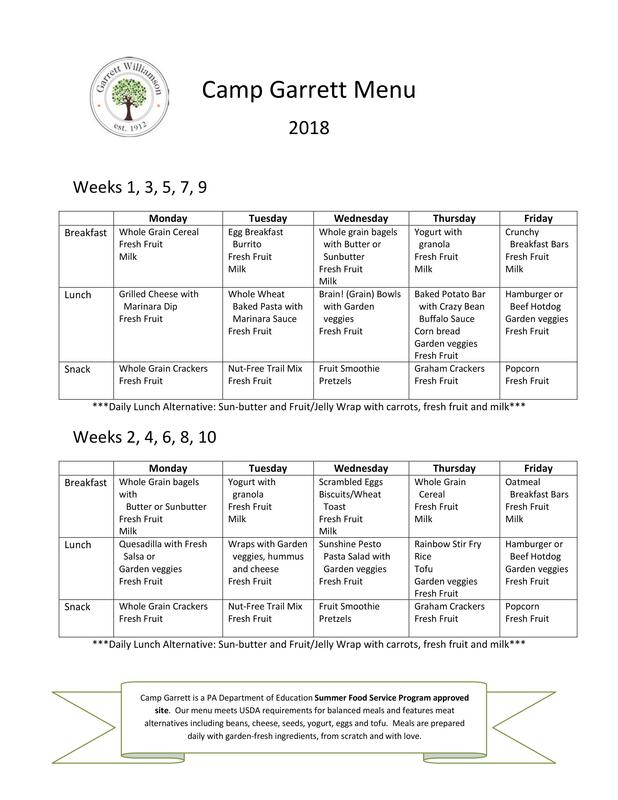 Camp Garrett provides every camper with a nutritious breakfast, lunch, and snack made on-site every day. Many of our ingredients come straight from our 1/2-acre Farm-to-Table Educational Garden! All other food is purchased locally and prepared fresh daily. Because of our access to hyper-local and fresh ingredients, our menu features alternative and plant-based proteins to keep our kids running strong all day. Campers are welcome to pack their own lunches, but please keep in mind we are a tree nut and peanut-free facility.